We are excited about this first issue of Afroscope as it sets the tone for one of the greatest event in the AEA calendar—The General Assembly. The G.A presents a unique opportunity for ministries, organisations and individual Christians in Africa and beyond to network and take the opportunity for further collaboration and partnership. This year’s GA does not only set the agenda for the AEA program and activities for the next four years, but also sets our vision and mission through the strategic plan for the next 10 years. The Evangelical Fellowship of Zimbabwe has been gracious to be our host for our reconvened GA, at a very short notice. 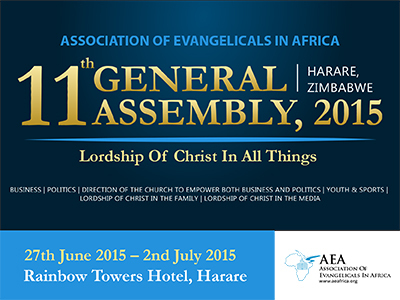 The General Assembly will take place in the ultra modern Rainbow Towers hotel in Harare. The facility offers adequate conferencing capacity needed to host our meeting. 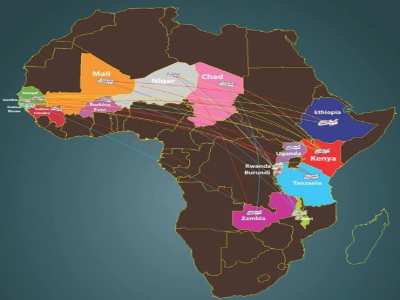 As plans for the GA are in high gear we are still cognisant of the fact that Christians in parts of North Africa and West Africa are still facing persecution. 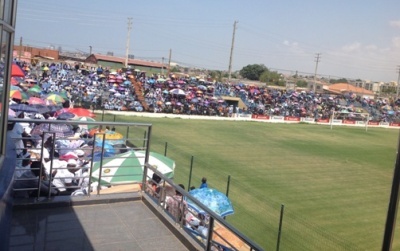 The atrocity in Libya, where 21 Coptic Christians were beheaded and attack on places of worship in Niger still lingers. We urge you to pray earnestly for peace and protection of these chosen people of God. Prayer is not our last resort but a powerful weapon that we as Christians have in our armoury and in fact our first and primary line of defence, among reasons. Warm congratulations to the Angola Evangelical Alliance, on their fortieth anniversary, which was witnessed by the GS, representing the rest of the AEA family last Christmas. The women’s commission of AEA is also active and vibrant, organising seminars with the overall aim of equipping and strengthening the African woman’s capacity to effectively manage conflict in their communities. 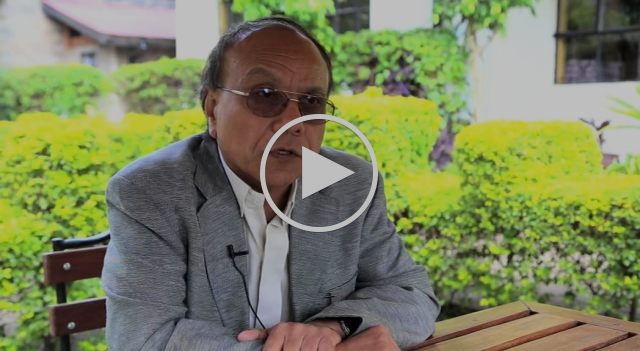 Bishop Efraim has a daunting task ahead of him but with our prayers and support his tenure will herald a great new chapter for the Evangelical Church worldwide. 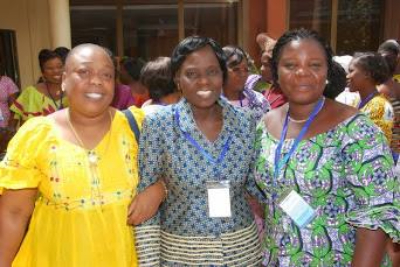 The Pan African Christian Women Alliance (PACWA) held a five-day workshop in Ouagadougou, Burkina Faso, from the 23rd to the 27th of February, 2015, on the theme: "Contribution of Evangelical Women in Conflict - prevention, management and resolution”. 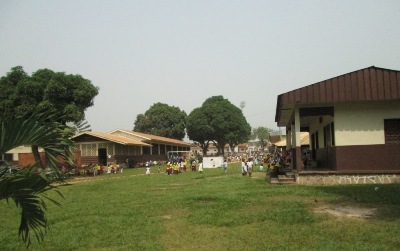 The Executive Secretary of AEA Theology Taskforce was in Bangui Evangelical School of Theology BEST) or FATEB/Bangui, 14-18 December 2014, for FATEB Board meetings. The deliberations and agenda reveal the exceptional work the management continue to do, in spite of a very difficult work environment. For a long time, it has been assumed that the spread of Islam is the greatest challenge to the growth of the Church in Africa. But the opposite is true: Lack of proper discipleship within the Church in Africa has paved way to the spread of Islam in Africa. 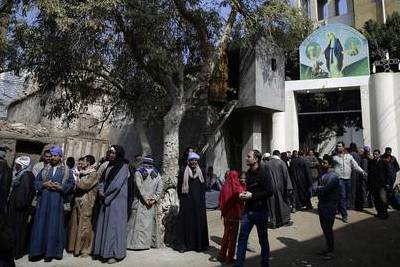 The world was shocked by the beheading 21 Coptic Christians by ISIS in Libya, onThursday, February 12, 2015. These young men, mostly from the same village, left their country in search of jobs that could barely satisfy the needs of their families back in Egypt. 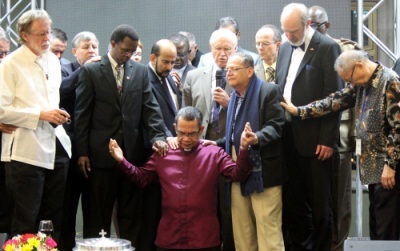 The World Evangelical Alliance (WEA) inaugurated its new Secretary General, Bishop Efraim Tendero, at its International Leadership Forum (ILF) in Tegucigalpa, Honduras. The event was attended by three African representatives, including the AEA General Secretary and General Secretaries of Zimbabwe and Tchad. Copyright © 2015 AEA, All rights reserved.